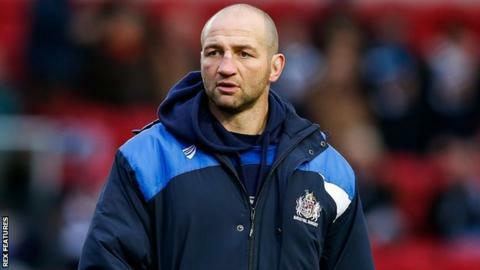 Bristol's director of rugby Andy Robinson insists there has been no approach from the Rugby Football Union for coach Steve Borthwick. There have been reports linking the 36-year-old with a role under new England head coach Eddie Jones. The Australian, who agreed a four-year deal last week, coached Japan during the World Cup, with ex-England captain Borthwick as one of his assistants. "There has been no contact from the RFU," Robinson told BBC Radio Bristol. "It is very simple for us: Steve Borthwick is employed by Bristol Rugby. "He is here for two years and his focus is on Bristol Rugby getting promotion." Borthwick's relationship with Jones goes back to their time together at Saracens, with the former lock skippering the team during Jones' second season as head coach at the club. He retired in 2014 and was recruited by Bristol as their forwards coach last month.